Where was The Shack filmed? This story of faith and magic is based on the worldwide bestseller by William Paul Young, a Canadian author who self-published the novel in 2007. 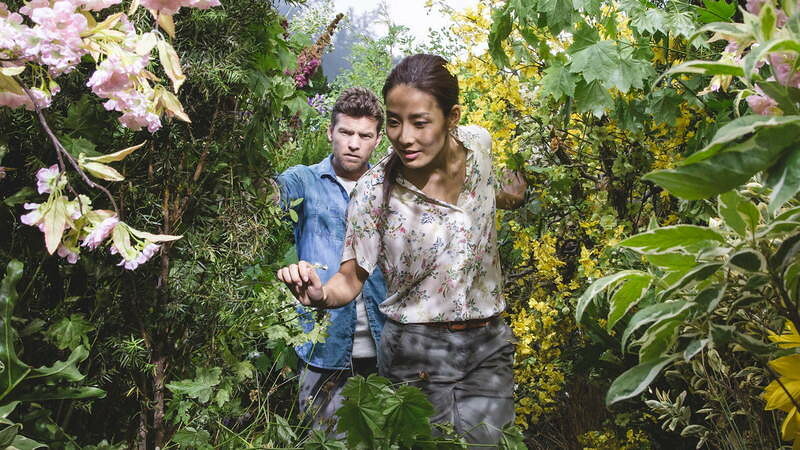 The plot explains how Mack, a man in mourning after his daughter is murdered, receives a personal and mysterious invitation to meet God at a place called "The Shack". Sam Worthington (Avatar, Clash of the Titans) plays the main role together with Octavia Spencer (Hidden Figures), a controversial black Goddess. 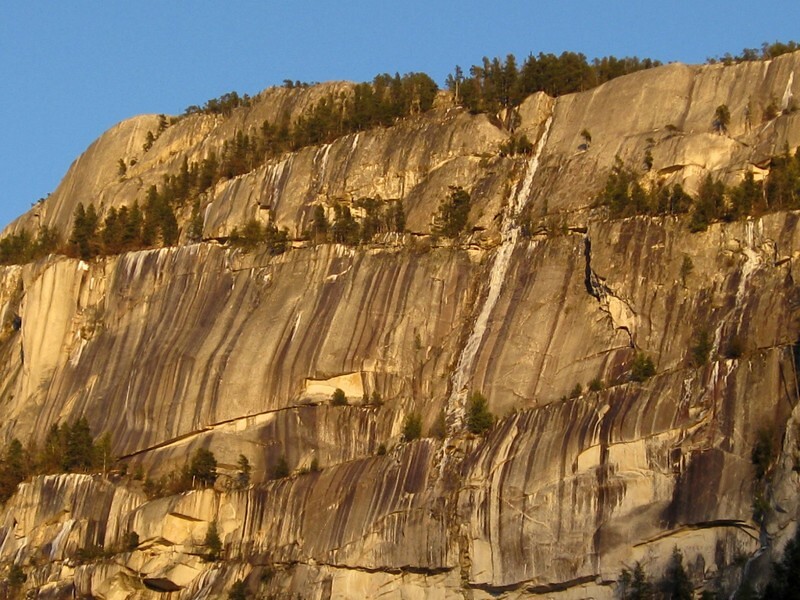 The crew was filming on the grounds of Stawamus Chief Park, near the town of Squamish. 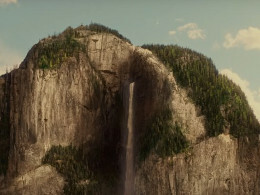 The lush forests of the area look very much like the ones that the characters are trekking in the film. The camping scene at the beginning of the movie was filmed at Sayres Lake Campground (Mission). Is the real shack also hiding on the shores of Cultus Lake? Only God knows (and the producers). 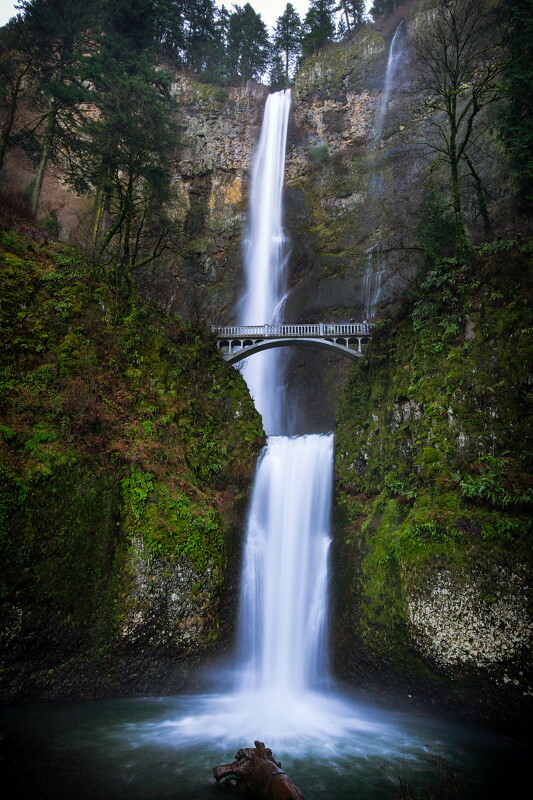 The waterfall was filmed at Multnomah Falls in the Columbia River Gorge, east of Portland, Oregon. 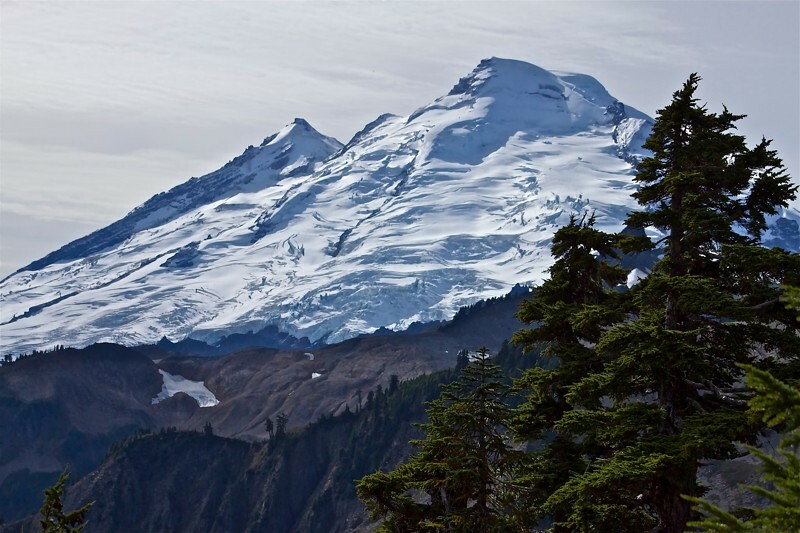 The snow covered mountain is the stratovolcano Mount Baker in Washington state. Can you help to improve this post about the filming locations for The Shack? To complete and correct this report, any feedback, info or images that you may have are more than welcome, thank you! Thanks Kathleen, but do you mean that the shack of The Shack was filmed in Lost Lake? The waterfall where he told the story of the Indian girl was filmed at Multnomah Falls in the Columbia River Gorge in Oregon. I've hiked there many times. Thanks a lot Melani, updated! Yep, it's Baker. I live near Cultus and that's the angle I see everyday. The church is in Milner, Langley, BC. I think the semi truck road is too. The image captioned "It is also confirmed that the production was shooting on the lake Cultus." is actually a picture of Sayres Lake. It has been a favorite secluded swimming spot for me and my friends for years, but it is getting a lot less secluded now. I was surprised to see a few shots in the trailer that looked like Sayres, so I did a quick search and found this web page. The image above confirms it for me. Thanks a lot Moss, definitely it is Sayres Lake. The lake that the family camp at where Missy is taken is definitely Sayers Lake north of Mission, BC. It's close to home for me and I camp there at least 2x per year. The water is amazingly clear there, perfect for the underwater shot of the canoe accident. It's not a big lake though. 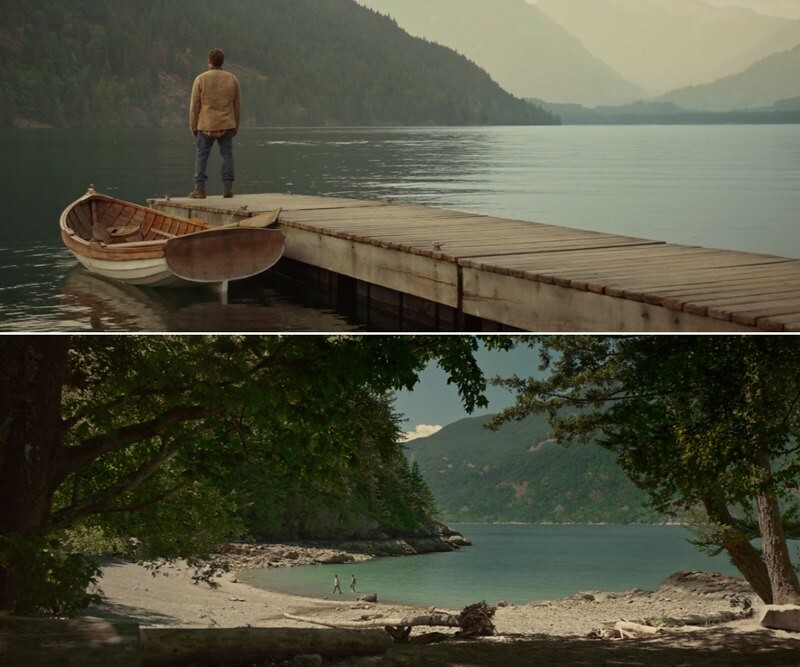 It's possible that the other lake where they walk on the water and go to that beach may possibly be on Stave Lake? Also, the final scenes look to me like some lakeside property's on Hayward Lake between Mission and Maple Ridge, I stayed there for few weeks.Traffic can be seen in the background on the Lougheed Highway. Interesting, thanks a lot for the info! We filmed the snowy house in the summer and along with almost everything else. Turned out pretty good the CG snow huh? I'd love to see more pics and a floor plan of the shack as it was with Papa and the rest. Is that available anywhere, by any chance? We just visited Multnomah falls for the first time and recognized the waterfall right away,since we just watched the movie. One thing is for sure, none of it was filmed at Wallowa lake or even in Wallowa county. I love the house and the layout of that house that was used for the main home area at the lake. I would love to have house plans for that home! Anyone know if they can be found and purchased? Of God, Yeah! Beautiful movie. There appeared to be a brief shot of Index Mountain in Index, WA. The campground was filmed in Wallowa Lake State Park in Joseph, Oregon. I don't see any reason to debate on this. They showed it in the movie. I know it can be filmed somewhere else but it only made sense before they went to the campground they made a stop at Multnomah Falls which is in Oregon. My family has lived in Wallowa County and Joseph, Oregon since the 1880's and I've lived there for 54 years and that campground is definitely not Wallowa Lake State Park in Joseph, Oregon. Where was the garden and flower scene filmed? Who was the set gardner for this movie?